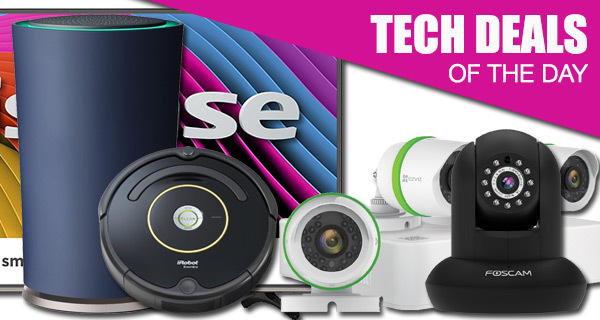 If you happen to find yourself in pickle, stuck for what to buy your loved ones this holiday season, or just need to treat yourself with something before you go and spend a small fortune on those special people in your life, then you really need to check out today’s tech deals. Fantastic technology, reduced down to extremely appealing prices. Let’s start off our today’s deals with a big screen TV! 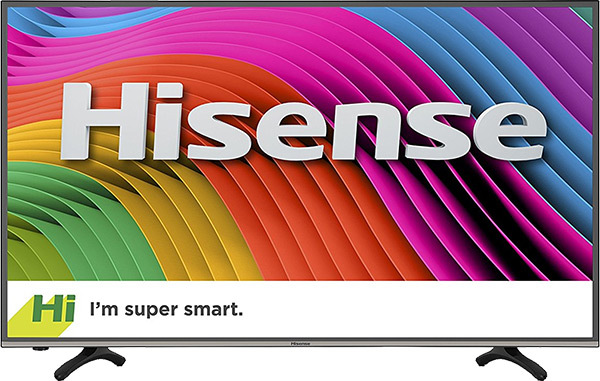 We are looking at a 43-inch 4K Ultra HD TV from Hisense coming in at mere $390 only. Moving on, if you are looking for a WiFi router for your home, treat yourself with the Google OnHub WiFi router from TP-Link available with an $80 discount. 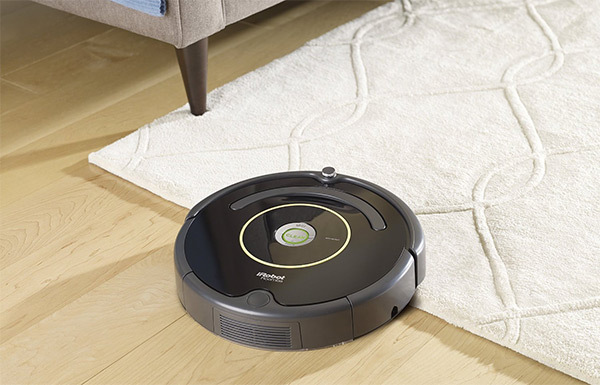 There’s a robot vacuum cleaner as well to keep your floors clean. Last but not the least, if you were considering installing a security cam or two in your house, you can check out a host of different IP cams with up to 40% discount. As always, make sure you grab the product of your choice quickly, as all the deals listed here are either time sensitive or subject to stock levels. So keep that credit card close by and don’t hold your breath when making that decision. Enjoy the savings! We are at the stage of the year when our homes are going to be increasingly filled with expensive gifts and tokens of love for others as we approach the holiday and festive season. It’s now more important than ever to keep an eye on those gifts and ensure that they are protected. 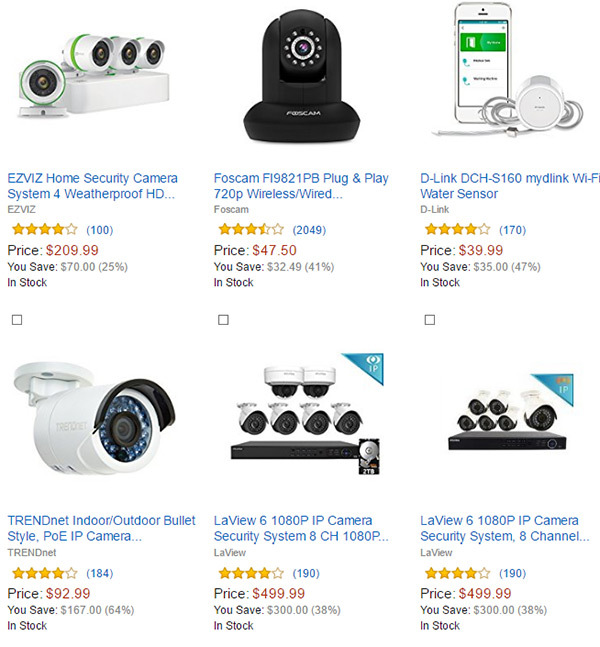 Step forward a fantastic set of deal, offering up to 40% off on select security IP cameras. If you need a new TV to watch of all those Christmas movie repeats that are going to be adorning the airwaves in the next few weeks, then you might want to consider this highly affordable Hisense unit. Don’t let the fact that it isn’t a Samsung or Sharp set put you off. It offers 43-inches of 4K UHD goodness, with built-in smart technology that ensures apps like Netflix, Spotify and YouTube are accessible without actually having to connect a mobile device or stream any content. This cylindrical beauty may be more than you initially want to pay for a router, especially considering you generally get on free when you sign up for an internet connection with a local ISP, but it is gorgeous and is capable of delivering WiFi speeds of up to 1900Mbps. Perfect for smooth gaming and streaming of content. It is also highly versatile and expandable in that it can support more than 100 devices connected ant any given time. Best of all, it’s future-proof as it is also compatible to work with Google’s upcoming Wifi mesh networking system. Remember the days when you had a vacuum that plugged into the wall and that you had to manually push around the house to pick up the dust? Yeah, those days are well and truly gone. Out goes the old cumbersome experience, and in comes the iRobot Roomba with a built-in suite of sensors to ensure perfect navigation around the home and away from obstacles. Press the button on the robot vacuum, relax with a nice hot drink and watch in awe as the Roomba goes to work on your behalf.